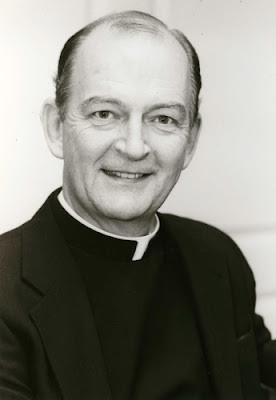 Fr Richard John Neuhaus, a faithful priest and hugely influential writer founded the journal First Things. His monthly essay "The Public Square" was always highly regarded and widely read. (He also featured in the "Notes from across the Atlantic" section for Faith Magazine.) He was a great apostle in the pro-life cause and an enthusiastic supporter of the papacies of Pope John Paul II and Pope Benedict XVI. Fr Neuhaus (72) died yesterday, 8 January 2009, from the side effects of the cancer he was suffering. He received the last rites of the Church from his long time friend Fr George Rutler. Shortly after he died, First Things re-posted Fr Neuhaus' February 2000 article Born Toward Dying. Tributes to him listed at First Things include those received from the White House, and major US dailies as well as Catholic sources. John Allen has a good piece in the National Catholic Reporter as does Michael Novak (A second brother dies). Bishops and priests who wish to attend are asked please to inform Nathaniel Peters (by e-mail or phone 212-627-2288) by Sunday afternoon, January 11, at the latest.